There is more to soyfoods than tofu and edamame. Today, soyfoods can be found in restaurants and supermarkets throughout the United States. In fact, you probably have a few soyfoods in your cupboard right now. 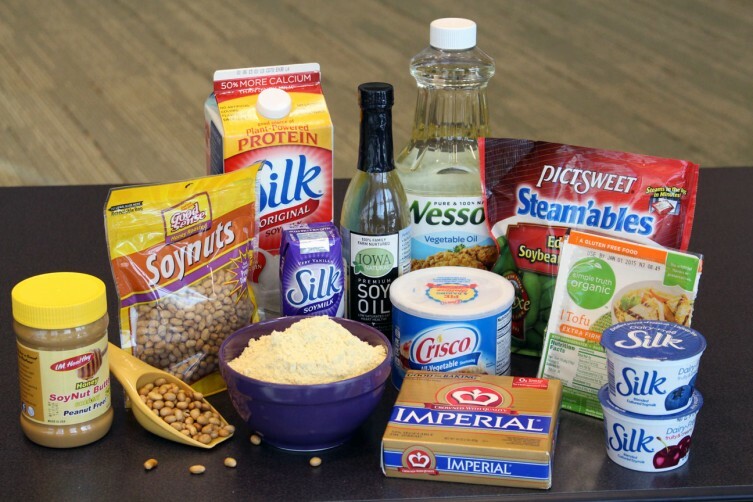 Soy ingredients are used in everything from protein shakes to baking flour. The soy checkoff funds research both to improve the nutrition profile of soy protein and oil and to educate consumers and the food industry about the benefits of soy. The food industry uses about three-quarters of all U.S. soy oil in consumer food products like baked goods, cooking oils, salad dressings, snack foods and more. Commonly sold as vegetable oil, soy is the No. 1 source for cooking oil. To meet the needs of the food industry, the checkoff supports research to expand the production and use of soy oil for human consumption. Visit Charlene Patton’s consumer-information page.